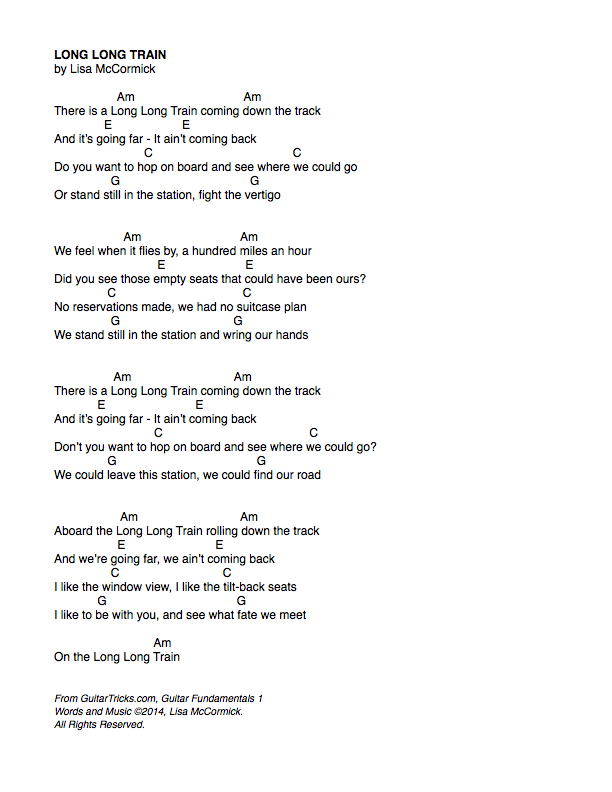 In this lesson, we'll learn to play the song, 'Long Long Train', using three of the simple chords you have learned. Remember to let the song chart help you remember how many times to play each chord, and what sequence of chords to repeat. 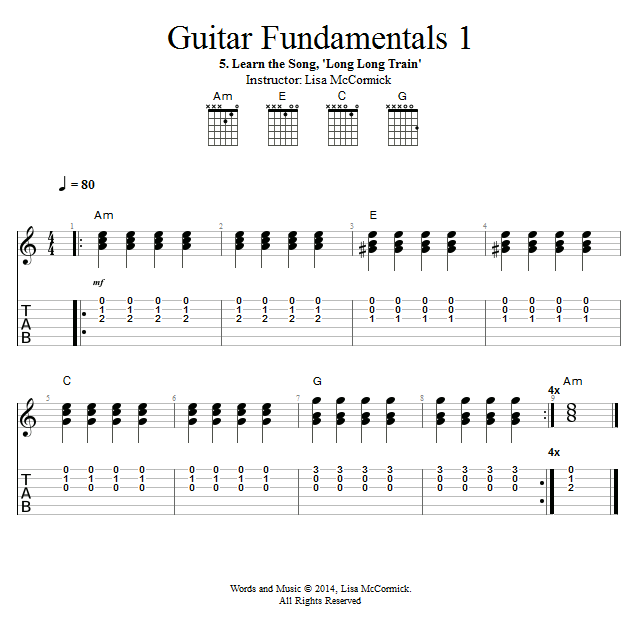 If you follow the chart exactly, you can play right along with the video, even if you don't know the lyrics or have the chord changes memorized. Have fun!